This year’s Wong Fong Industries Ltd Customer Networking Night marks several historical milestones for our customers, partners and ourselves. 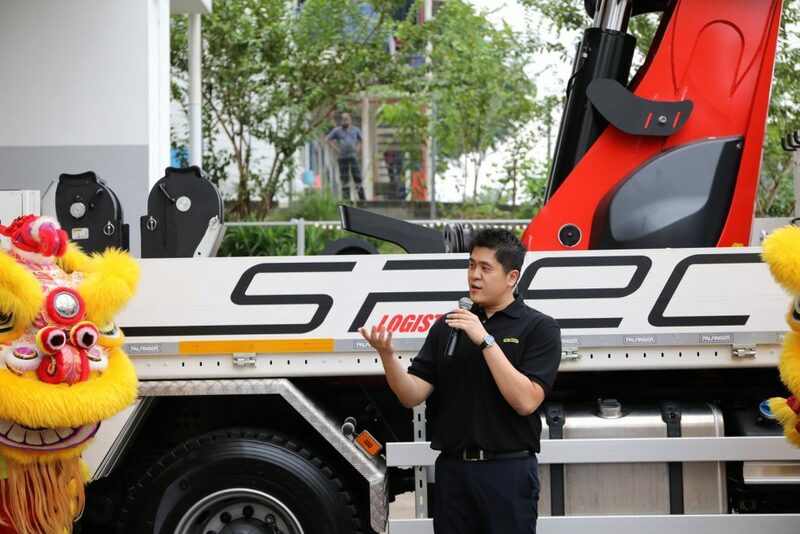 Today, we handover the Palfinger PK200000 SH Loader Crane to a long standing customer, Spec Logistics Pte Ltd. 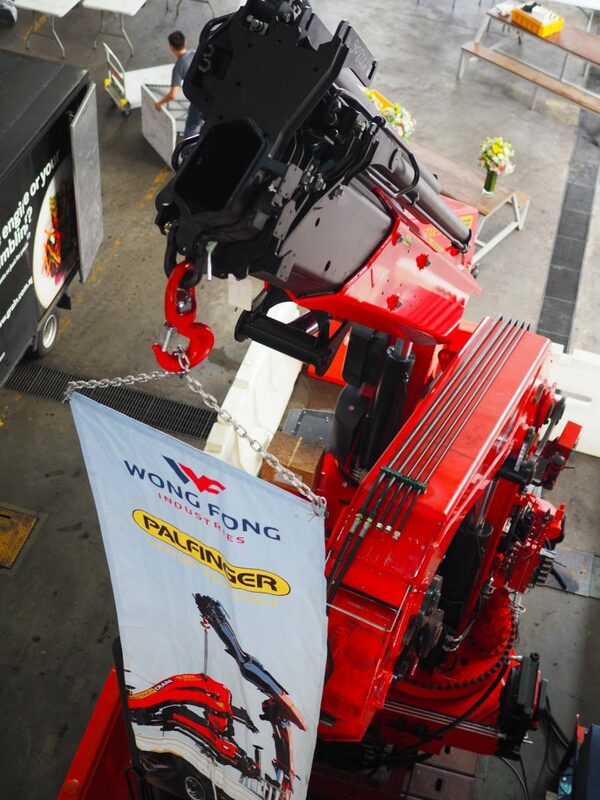 This is Palfinger’s largest Loader Crane and the ‘First’ to be sold in Asia. We have also successfully launched our training group 1 Summit Global Pte Ltd (aka 1SG) is a holding company for all Academies such as our training and consultancy companies Wong Fong Academy and Ascendo Consulting Pte Ltd. To help pave the way forward, the group has signed an MOU with the Singapore Institution of Safety Officers (SISO). We were honoured to have Ms. Low Yen Ling, Mayor, South West District, and Senior Parliamentary Secretary, Ministry of Education, Singaporer and Ministry of Trade & Industry, to witness the signing of this historic MOU. 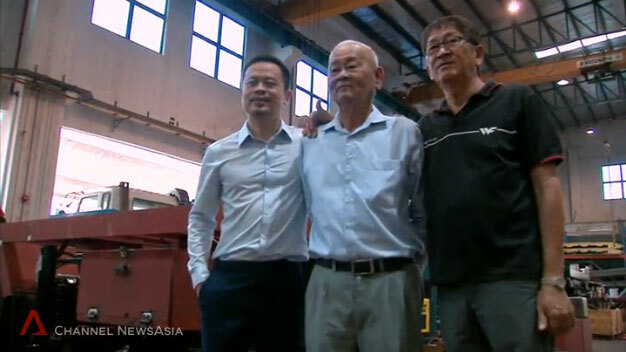 Air Liquide Singapore Pte Ltd(formerly known as Soxal) – Our ‘First’ Palfinger Loader Crane customer 23 years ago. 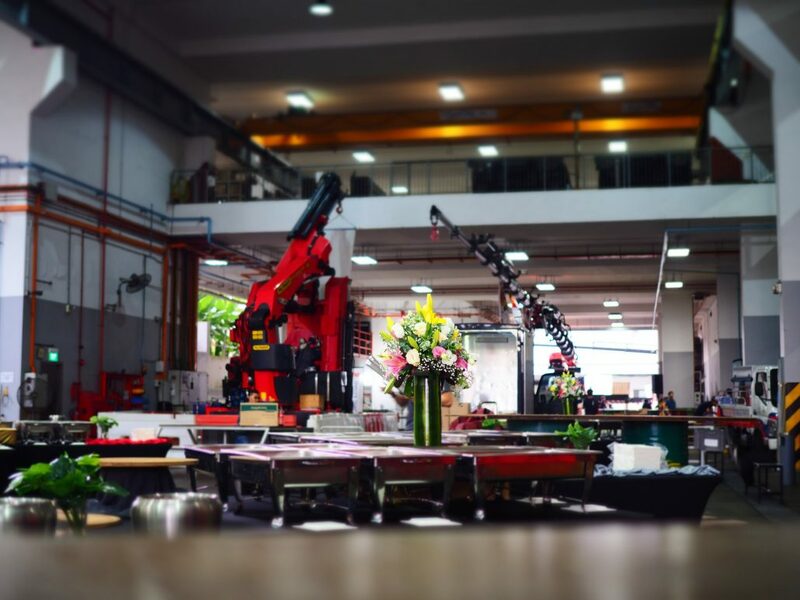 Liang Wang Trading Pte Ltd – this company utilizes only Palfinger Loader Cranes and maintains one of the largest number of Palfinger Loader Cranes in the industry. We wish everyone a happy and prosperous journey ahead together! Thank you for all your support. The management and staff of #wongfongindustries Group of Companies. 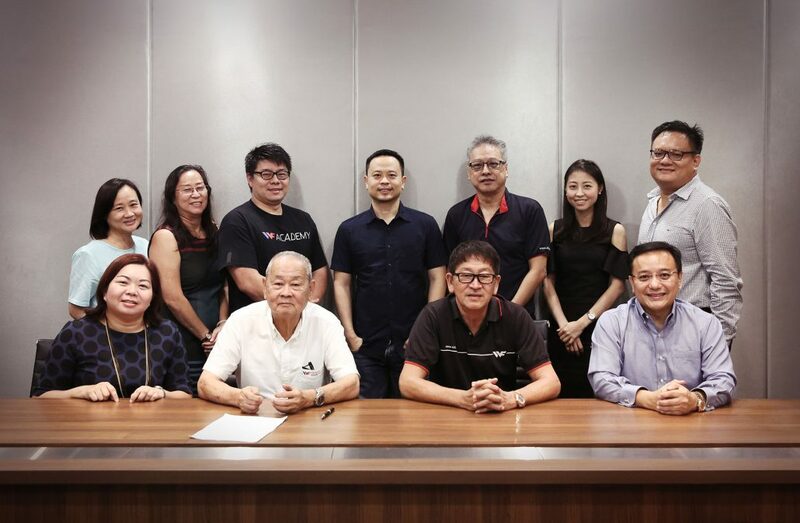 The board of directors (the “Board” or the “Directors”) of Wong Fong Industries Limited (the “Company” and together with its subsidiaries, the “Group”) announce, with much regret and sadness, the demise of Mr Lew Kit Foo @ Liew Foo, the Executive Chairman of the Company on 10 August 2018. Mr Lew Kit Foo @ Liew Foo was one of the founders of the Group. 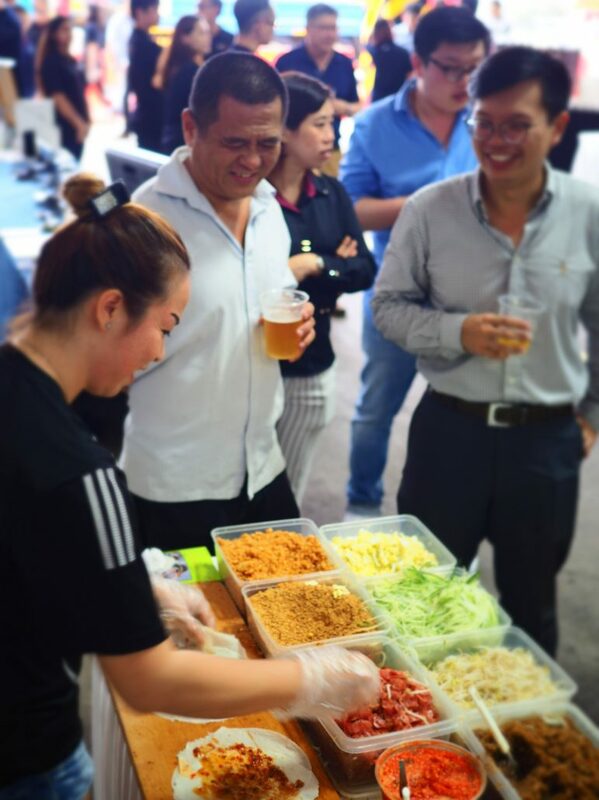 The Board and the management would like to extend their deepest condolences to the family of Mr Lew Kit Foo @ Liew Foo and wish to express their appreciation and gratitude for his guidance and invaluable contributions to the success of the Company all these years. In the interim, the Deputy Chairman and Managing Director, Mr Liew Ah Kuie, will assume the role of the Executive Chairman. The Board will update shareholders once a suitable candidate has been identified. 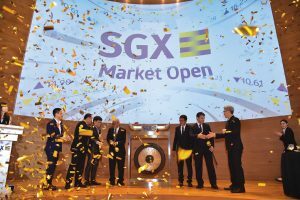 Pursuant to Rule 705(3) of the SGX-ST Listing Manual Section B: Rules of Catalist, the Company is required to announce its financial statements for the six-month period ended 30 June 2018 (“HY2018 Financial Statements”) by 14 August 2018. The Company intends to postpone the Audit Committee and the Board meetings for the approval of the HY2018 Financial Statements until after 14 August 2018. The Company has made an application to the Singapore Exchange Securities Trading Limited for an extension of time for announcement of the HY2018 Financial Statements to 31 August 2018 and will update shareholders accordingly. This announcement has been prepared by the Company and its contents have been reviewed by the Company’s sponsor, United Overseas Bank Limited (the “Sponsor”), for compliance with the relevant rules of the Singapore Exchange Securities Trading Limited (the “SGX-ST”). The Sponsor has not independently verified the contents of this announcement. 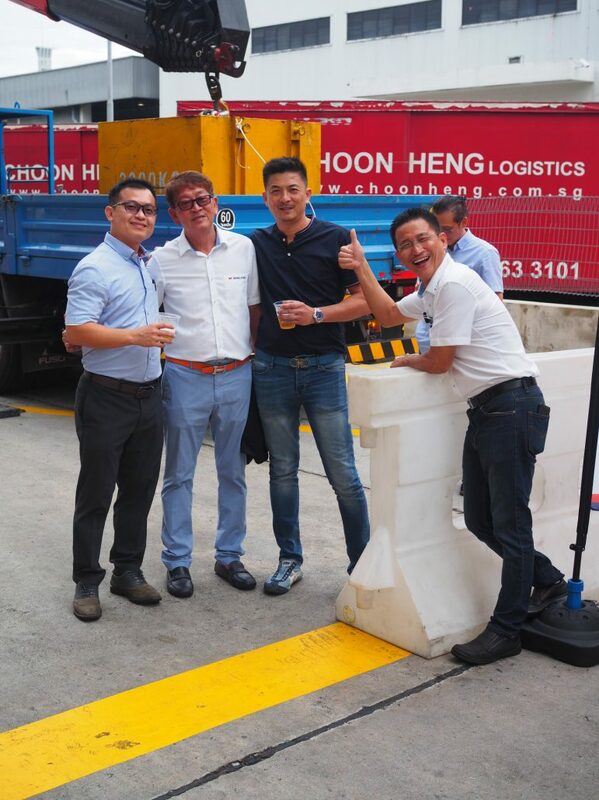 SINGAPORE, 19 June 2017 – Wong Fong Industries Limited （黄芳工业有限公司） (“Wong Fong Industries” or the “Company” and together with its subsidiaries, the “Group”), one of Singapore’s leading providers of land transport engineering solutions and systems, has entered into collaboration with two European principals, Bucher Industries AG and Europress Group Oy, which will add two established names, Bucher and Europress, to its stable of brands. 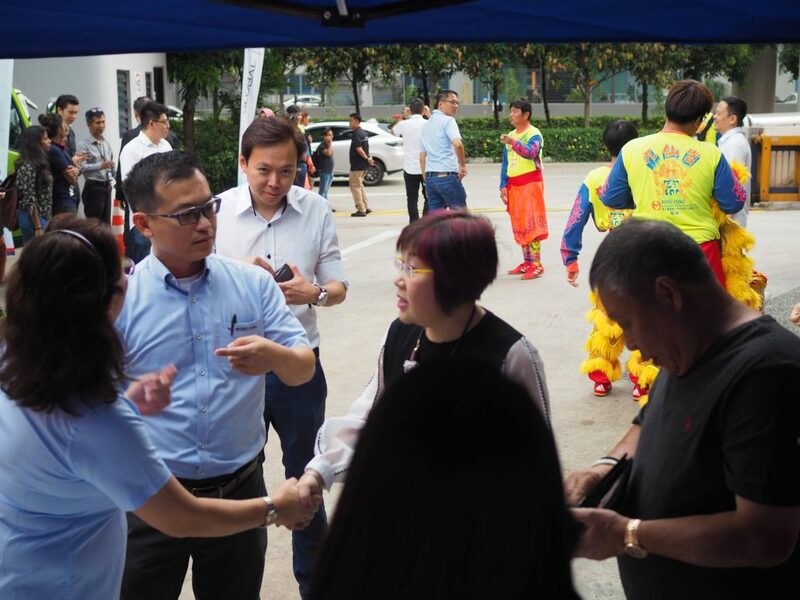 Through the collaboration, the Group will supply a wider range of waste management products and solutions in Singapore and Myanmar, allowing it to cater to requirements for new technology and innovation in these markets. 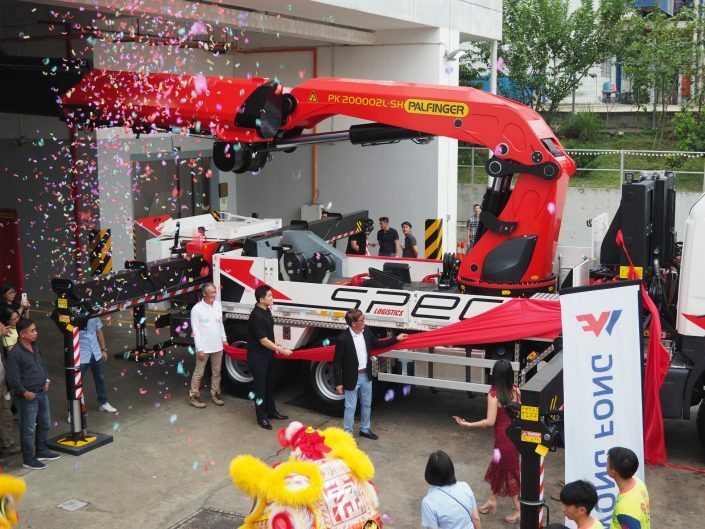 The range of waste management products and solutions Wong Fong Industries currently offers include hook loaders, portable and rear-end compactors, skip lifts, container bins and mini-dumpers. With Bucher and Europress on board, Wong Fong Industries now has five brands in its waste management systems portfolio. The existing brands include Hektor – the Group’s in-house brand of portable compactors and mini-dumpers, Palfinger hookloaders and Pöttinger portable compactors. 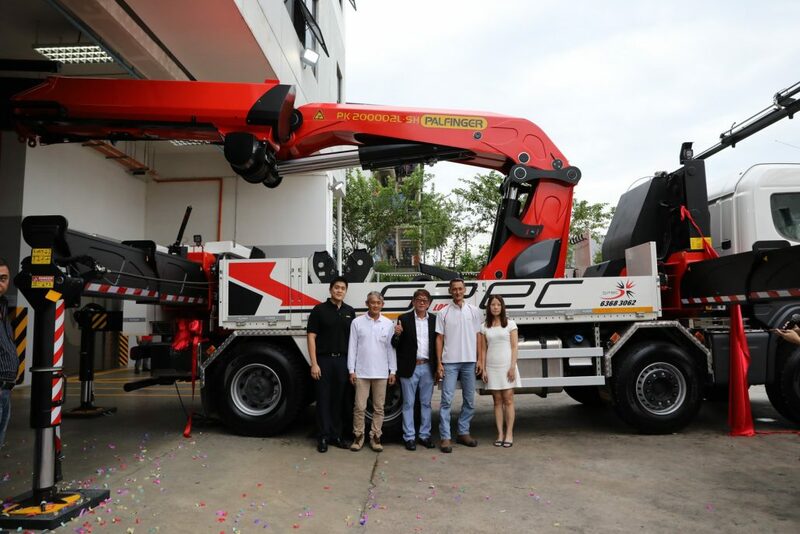 The Group will be the exclusive distributor in Singapore and Myanmar for the entire range of compact sweepers and truck-mounted sweepers carried by Swiss company, Bucher Municipal AG, a division of Bucher Industries AG, for a period of two years starting 1 May 2017, including the provision of servicing and repair works. The Bucher sweeper vehicles, which are typically used for municipal services, road maintenance and facility management among other applications, provide efficient cleaning and are easy to operate with low maintenance costs. At the same time, the Group has also been appointed to develop and market the range of SMART waste compactors by Finnish company, Europress Group Oy, in Singapore and Myanmar. Targeted at local waste management operators and municipal bodies, the first shipment of Europress SMART waste compactors will be delivered to Singapore for field testing in July 2017. Europress SMART waste compactors are known to be user-friendly as they communicate and guide the user, and automatically order their own emptying at the right time. Based on Europress Group Oy Introduction 2017 Presentation, in 2016, Europress SMART solutions helped reduce the total number of service trips in Finland by 76%. Bucher Municipal AG is a world-leading supplier of municipal vehicles for cleaning and clearing operations on public and private roads and other traffic areas. Its range encompasses sweepers, winter maintenance equipment, as well as vehicles for refuse collection and sewer cleaning. Bucher vehicles offer efficient cleaning, ease of operation, low maintenance costs and good environmental compatibility, whatever the weather conditions. It is a division of Bucher Industries AG, which has a history that dates back to 1807. Europress Group Oy is the leading manufacturer of waste compactors and balers in Northern Europe. It was founded in the 1970s in Finland and is one of the pioneers in smart technology for compactors and balers that utilises technology to save on maintenances and provide the best return on investment to customers. It has delivered more than 20,000 machines worldwide. 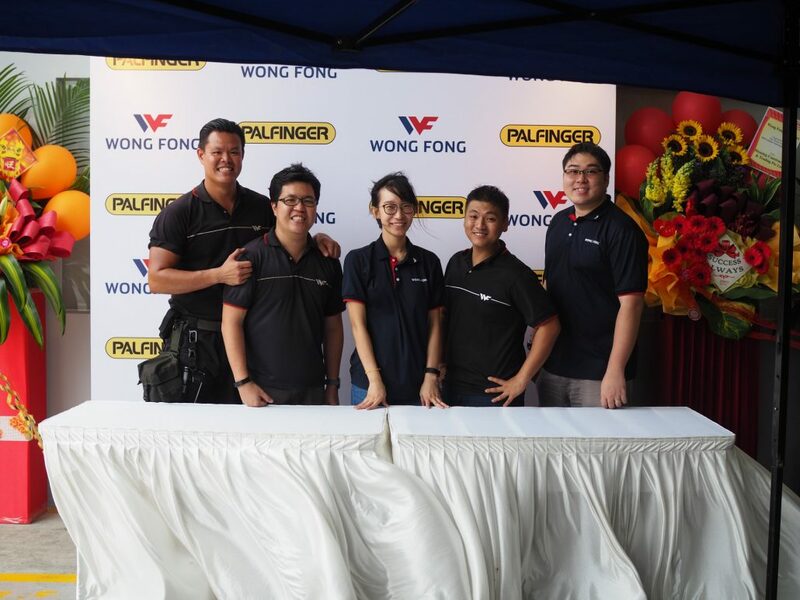 SINGAPORE, 28 September 2016 – Wong Fong Industries Limited （黄芳工业有限公司） (“Wong Fong Industries” or the “Company” and together with its subsidiaries, the “Group”), one of Singapore’s leading providers of land transport engineering solutions and systems, today officially opens its revamped and expanded corporate headquarters and production facility at 79 Joo Koon Circle. Deputy Prime Minister and Coordinating Minister for Economic and Social Policies, Mr Tharman Shanmugaratnam, is the Guest-of-Honour. 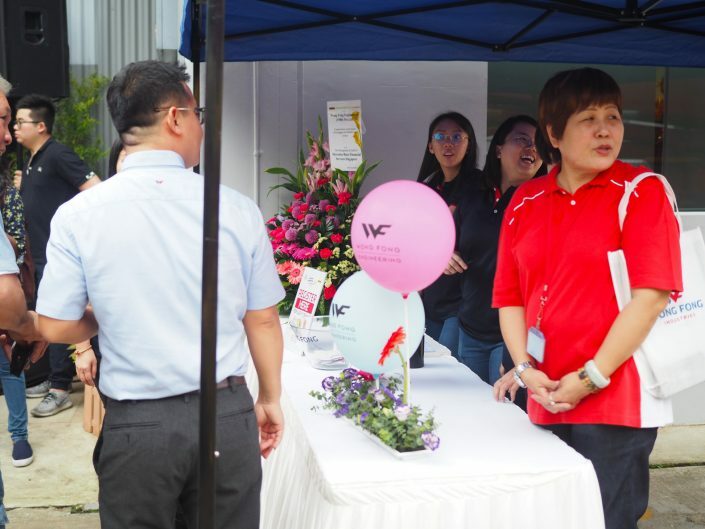 The premise, which is valued over S$30 million after the completion of the revamp, reflects the Group’s integrated approach to reinforce its industry leadership position and its focus on innovation and sustainability. With the doubling of its built-up area to approximately 128,000 square feet (“sq ft”), Wong Fong Industries’ production and assembly capabilities will be expanded and enhanced, largely to support the production of innovative products and solutions developed by the Wong Fong Research and Innovation Centre (“WFRIC”). WFRIC was established in 2013 to envision, engineer, and implement smarter solutions for the engineering industry, particularly in the Military, Urban material regeneration, Specialised vehicles and Electric-mobility (“M.U.S.E”) sectors. The revamped premise has significant usage of solar energy. With the installation of approximately 20,000 sq ft of solar panels on the roof of the building, up to 30% of the Group’s electricity requirement will be powered by solar energy. The building’s rooftop will also house a large expanse of garden with green plants to improve heat insulation for the building, as well as an innovative system to harvest rainwater for irrigation of the plants. 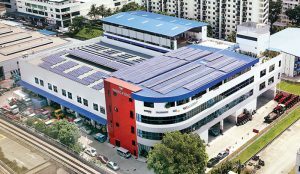 “The environmentally-friendly features like the use of solar panels for electricity generation and the ‘greening’ of the building’s rooftop are marks of our drive to develop a sustainable business. 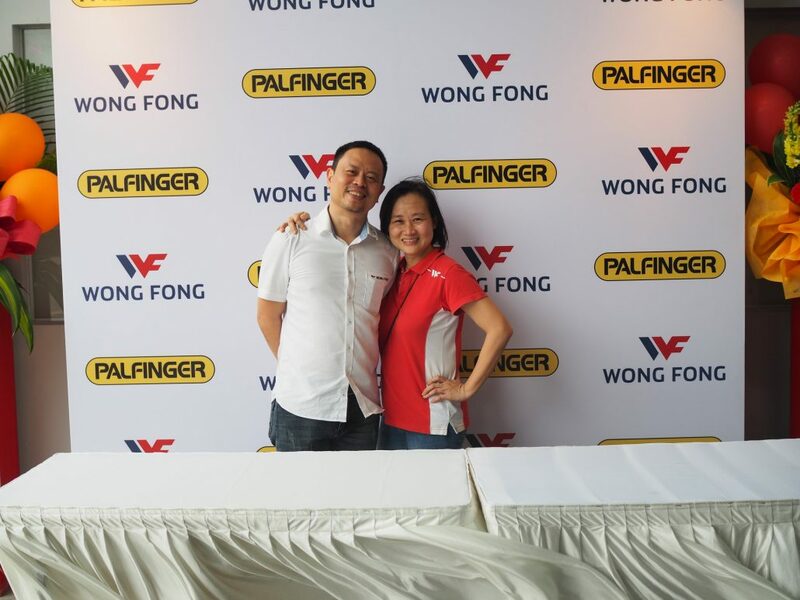 We are one of the early adopters of such building features in our industry and we believe this will help position Wong Fong Industries as a forward-thinking market leader,” added Mr Lew. With origins tracing back to 1964, Wong Fong Industries Limited (“Wong Fong Industries” and together with its subsidiaries, the “Group”) is one of the leading providers of land transport engineering solutions and systems for various industries, with a presence in Singapore, Malaysia and the People’s Republic of China. The Group’s four core businesses include (1) Equipment Sales, (2) Projects, (3) Repairs and Servicing, and (4) Training. Apart from the sale and installation of load handling systems and waste management systems, the Group also manages projects in which it provides design, customisation, fabrication and integration services to meet customers’ requirements. The Group owns one of the largest service centres for truck-mounted cranes and hookloaders in Singapore and provides accredited training courses relating to, among others, operation of industrial equipment, risk management implementation and supervision of safe lifting operations. 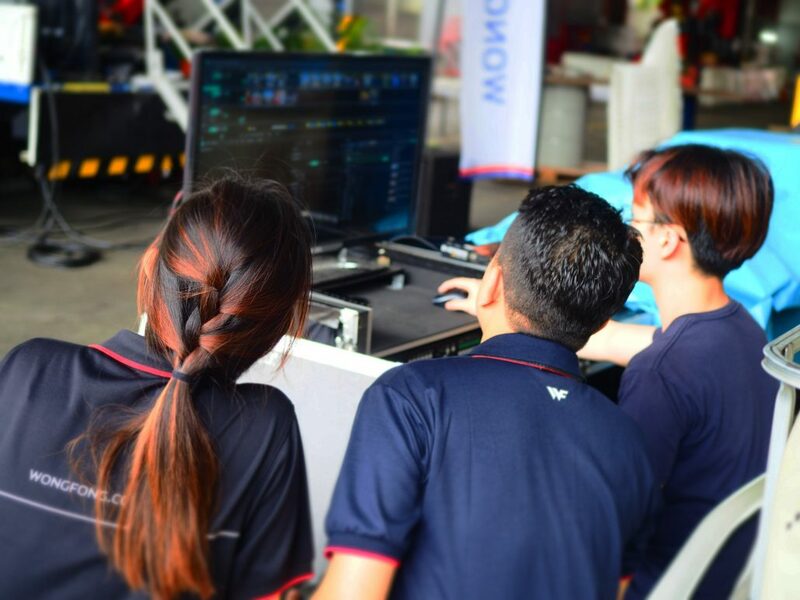 As at 15 June 2016, the Group has manufacturing facilities in Singapore and Malaysia with a combined land area of approximately 16,500 square meters and a broad customer base comprising more than 3,000 customers from various industries. 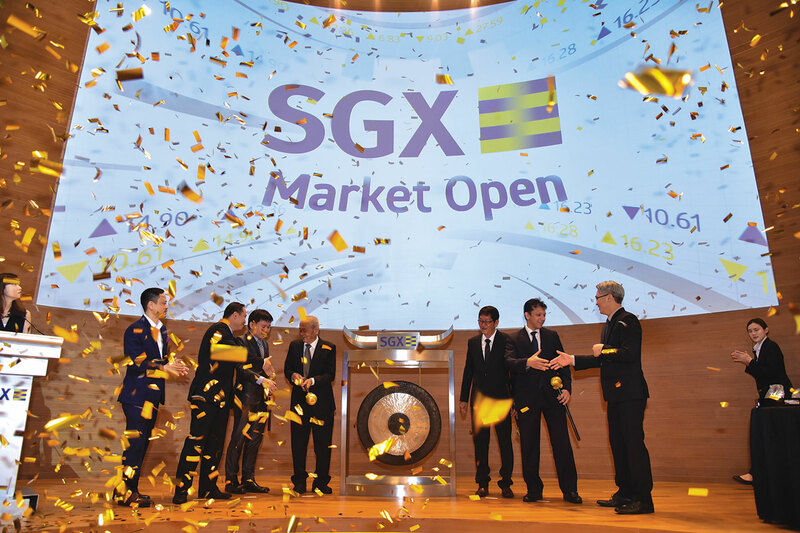 This Press Release has been prepared by the Company and its contents have been reviewed by the Company’s Sponsor, United Overseas Bank Limited (the “Sponsor”), for compliance with the relevant rules of the SGX-ST. The Sponsor has not independently verified the contents of this Press Release. This Press Release has not been examined or approved by the SGX-ST and the SGX-ST assume no responsibility for the contents of this Press Release, including the correctness of any of the statements or opinions made or reports contained in this Press Release. The contact person for the Sponsor is Mr Chia Beng Kwan, Senior Director, Equity Capital Markets, who can be contacted at 80 Raffles Place, #03-03 UOB Plaza 1, Singapore 048624, Telephone: +65 6533 9898.